King’s Park and Botanic Gardens is a must-see in Perth. 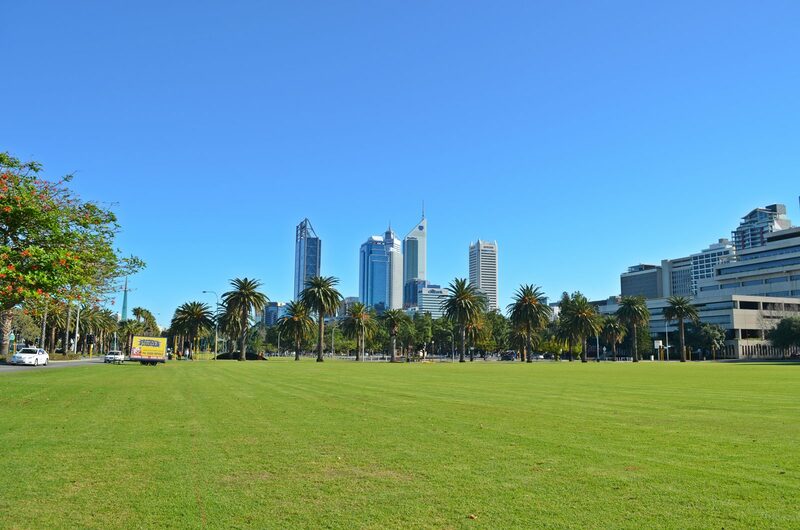 Not only is it a beautiful park and garden overlooking the city of Perth, it also boasts being one of the largest city parks in the world, beating out Hyde Park and even New York’s Central Park. It’s a beauty. Perth’s Botanic Garden boasts about their focus on local (Western Australia) flora due to the extraordinary diversity and the fact that many of the flowers couldn’t be found anywhere else in the world. How cool is that?! And still only about 3,000 of WA’s 12,000 species of plants are in the garden. 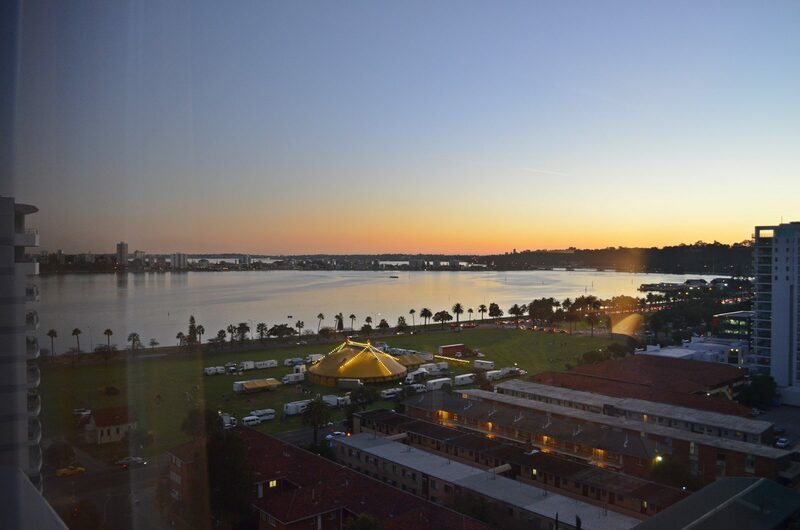 Within an hour of arriving to Perth, we both knew we liked the charming city. Now we’re not too easily woo-ed. Okay, we loved Brisbane and would practically give our right arms to live in New Zealand (if our families could come), but we pass in and out of a lot of towns and rarely do we have a good sense about a town right away. Our initial hunch about Perth, however, was spot-on. Perth is lovely. There is a funny thing about Perth. It feels like a city but almost one that’s half asleep. I don’t mean this in a negative sense. In fact, it reminded me a lot of Des Moines. Home. There were a few “sky-scrapers” but the business district was surrounded by parks, a river, and the ocean. Okay, not EXACTLY like Des Moines. Several people told us that Perth is a little country city. Some would say the same about Des Moines. Someone else said Perth is a ‘mini-Melbourne’. It did feel a bit like our host-city. 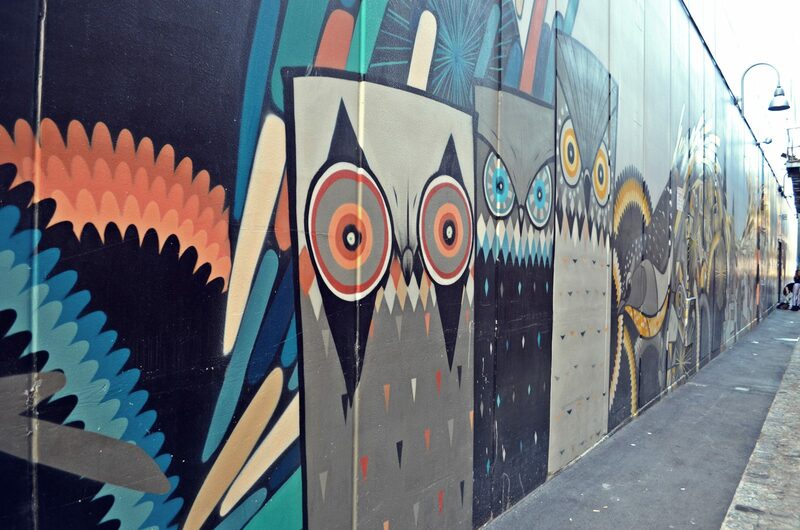 There were laneways with little cafes and fun street art. Where we ate: We had some great meals. Our favorite was at Jaws Sushi which served Kaiten Sushi, literally meaning “Rotating Sushi”. I described it as ‘sushi on a conveyer belt’. It’s the undeniable Midwesterner coming out in me. Where we stayed: We stayed at the Pan Pacific which was average but a typical business hotel. It was within walking distance of restaurants and the train station. We did, however, have a nice view. On the 4th of July we watched out our hotel window as there was a big fireworks display right over the river. Apparently there are a lot of American companies and US expats in Perth so we got to celebrate America’s independence from the other side of the world. Where we toured: Besides going to Fremantle on our first day the only other “tourist-y” thing I did was to visit King’s Park and the Botanic Gardens. More to come in an upcoming post. Misses: We missed a few places, unfortunately, due to lack of time. Cottlesloe Beach, a beautiful beach (some say it beats Bondi) with pristine water, sculptures, and cafes. Rottnest Island, a no-car island with bikes, snorkeling, cafes, and quokkas (lil animals only found on Rottnest). London Court, a small shopping street with unique and historic architecture. We’re currently in the state of Western Australia (WA). Ryan has some business in the city of Perth so we decided to come for an extra day and enjoy WA as well as get a reprieve from the bitter Melbourne winter (says the girl from the Midwest). Once we arrived in Perth we immediately checked into our hotel and took the train to Fremantle (Freo), as it’s known to locals. The ride took only 40 minutes and was a nice way to view Perth surrounds. 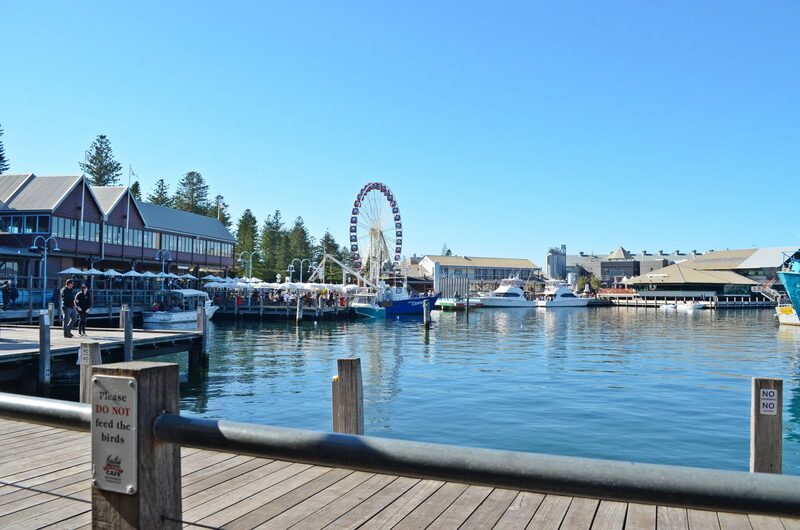 Fremantle is known for it’s fishing and its proximity to lovely little (car-free) Rottnest island. We didn’t have time to make it to the island but enjoyed our full day in Freo. We walked to the harbour in search of sustenance and ended up at Kaili’s Fish Market Cafe. Ryan had pretty decent WA Cobbler fish ‘n chips and I feasted on beautiful White Snapper fish kebabs. You couldn’t beat the weather (20s and sunny) or the view but beware, the harbour is a tourist trap and the food is priced as such. We’ve had better fish ‘n chips for a third of the cost. After lunch we were making our way back to the main street when my husband was drawn (lured in, if you will) to the larger-than-life anchors that sat outside the Maritime Museum-Shipwreck Galleries. It shouldn’t surprise you, dear reader, that he insisted we go in. I was happy he did, however, because there was no entry free and the displays were quite impressive. The biggest room is dedicated to the Dutch East Indiaman, the Batavia, which was wrecked in 1629. The Batavia was shipwrecked on her maiden voyage and was forever written into history due to the mutiny and massacre that occurred among the survivors. 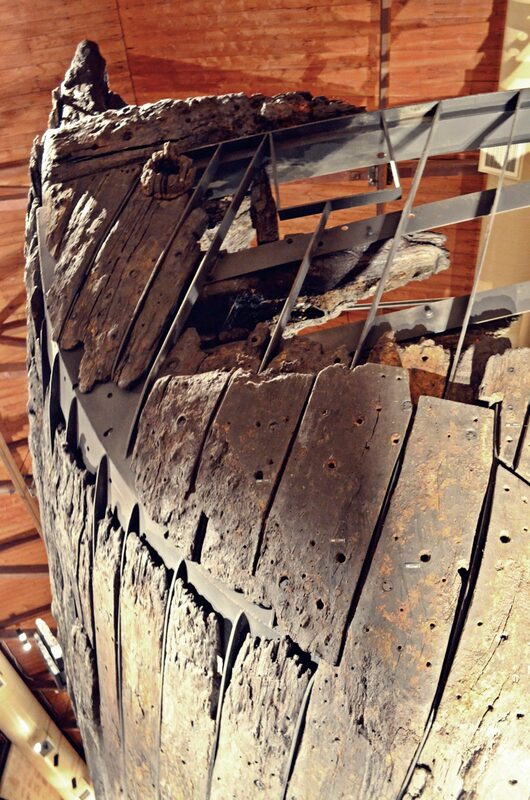 The Freo museum had remnants from the ship including some of the original wood, canons, and artifacts from the ship. After the museum we headed back to the train via Market Street. We would’ve perused the Fremantle Market on our way but we were a bit tired from our early flight and day of walking and exploring. 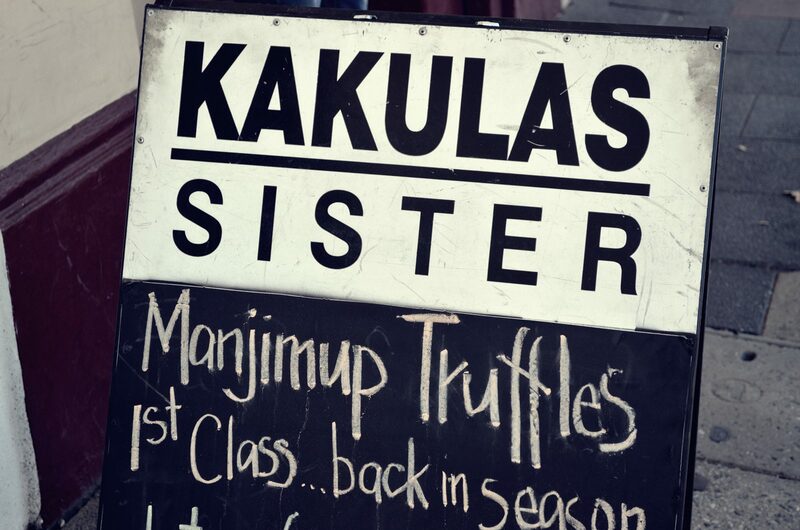 On Market Street we came across a Mecca for me…a small gourmet and wholefoods store called Kakulas Sister. Think creaky floorboards, aromatic, colorful. 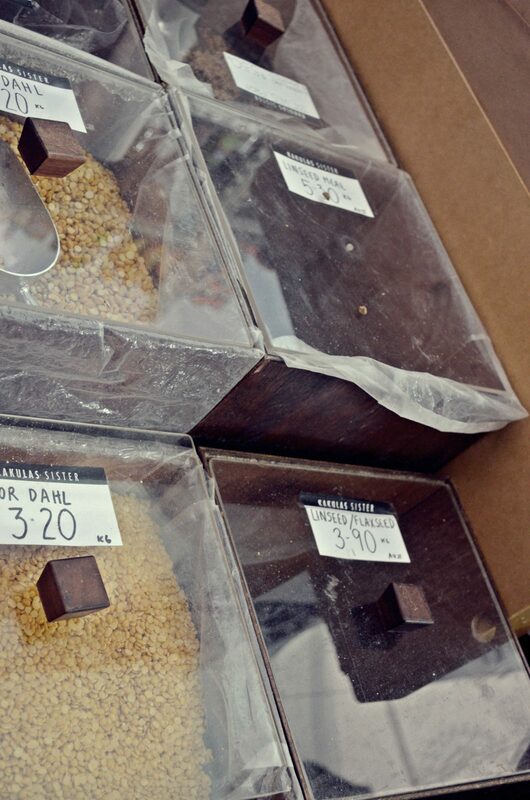 They make the most of their limited room with a deli/cheese counter, coffee blends, organic teas, bulk nuts and fruits, and a ton of rices, grains, flours, bean pulses, and spices that you self-select in baggies from the huge wooden bins. We didn’t buy anything because I think we both felt a little overwhelmed with the amount of people crammed into the store and some of the pushing and shoving that went on. I felt Ryan’s hand on my back not-so-gently pushing me through the store either to remove us from the insanity or to ensure that I didn’t blow our month’s savings on wholesome food….which I’ve been known to do. Well almost. Bottom line: Fremantle was worth the $11 train ticket for two on a Sunday. We had plenty to do and see and eat in a day but you probably could make a weekend out of it as well.